LOVE. 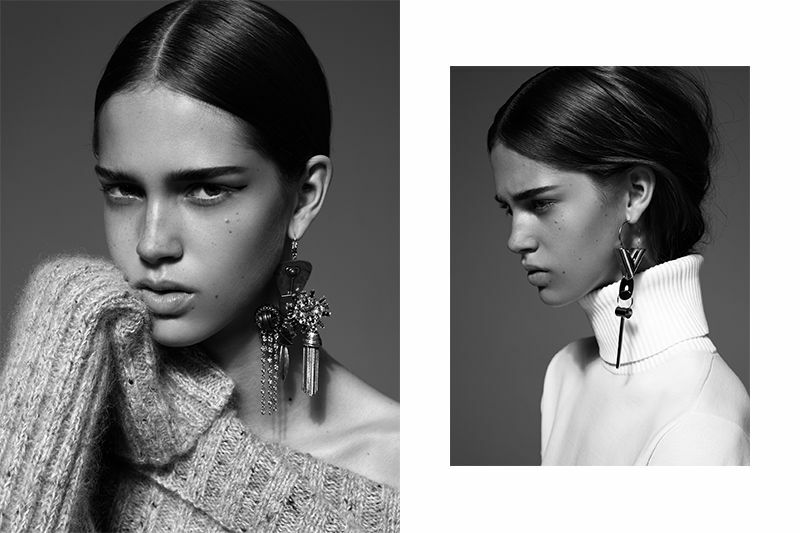 Love this modern take on the statement earring as seen in CR Fashion Book, such a great way of wearing statement pieces in a casual, less overpowering way! The trend of the solo earring first caught my eye at the Céline fall 14 show where Phoebe Philo had the models walk down the runway wearing a single bold earring each and it’s been on my mind ever since. Will definitely give this look a go for fall (probably paired with a tiny stud in the other ear though, to avoid the inevitable "I think you lost an earring! ").